The DDP Network and it’s sites have been redesigned and updated. Part of the DDPI mission is to support the interest and growth in DDP across many countries and establishing an international DDP community. The redesign aims to enable this through increasing access across multiple formats as well as presenting all our content much more clearly. A massive thank you to the DDPI Board who have been fully supportive and we hope you enjoy using our new look site. It is no coincidence that the extensive development of DDP and DDPI across the world has coincided with the creation our website, ddpnetwork.org. And now this incredible website is being significantly revised and updated. 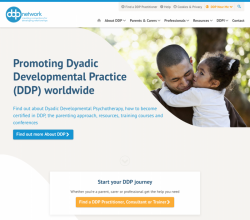 We may now anticipate with confidence our further development as more parents and professionals become aware of DDP through this very inviting, comprehensive, and integrated website. Our thanks to Julie Hudson and Liz Tower for what they are continuing to accomplish. As DDPI continues to grow throughout the world we, as members, are able to stay connected through the website. Thanks to redesign and updates on the website the connections are now even stronger. If you spot any issues you can let us know by emailing help@ddpnetwork.org.